This 361-space community for older persons is located in Willow Glen, an upscale neighborhood in San Jose. 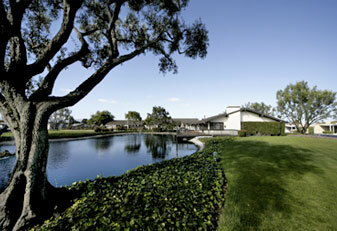 Millpond consists of two sections located across Caneros Gardens Drive from one another. Millpond I, which consists of 309 spaces, was built in 1977, and the 52-space Millpond II opened in 1979. Both Millpond sections share the same common amenities, which are located in Millpond I. The large New England-style clubhouse is located in Millpond I at the end of an entrance way lined with white birch trees. Included in the clubhouse are a large meeting room with adjoining kitchen, coffee room, card room, billiard room, library with hundreds of books and a crafts room. A large swimming pool with adjoining covered spa is available for resident use. Informal parties are held during the summer months at the community barbecue area, and a tennis court is available year around. Lavish common area landscaping is included throughout the communities. A unique feature at Millpond is a number of lots configured for “Immobile Homes.” These innovative mobilehomes are offset on their lots, which provides for an attractive fenced side yard, and a site-built garage that blends in with the mobilehome. The areas in which the Immobile Homes are located present an attractive residential appearance to the overall streetscape. Millpond is conveniently located next to a light rail station that runs to downtown San Jose and local shopping malls. Downtown Willow Glen, with its boutique shops and upscale restaurants, is within easy driving distance from Millpond.